Hello lovely people. 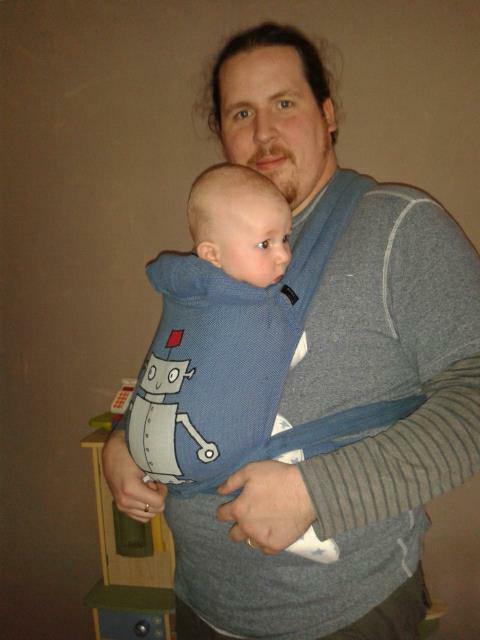 I’m a real believer that babywearing is babywearing is babywearing! One sort isn’t better then another. It shouldn’t be about progressing towards wrapping, it should be about finding a way you are confident and comfortable carrying your child. Ive been asked a few times about getting a partner who already uses a structured carrier into wrapping. If this is something they want to do then brilliant but if it isn’t why push it? I adore wraps and wrapping and it was something I was always interested in trying and wanted to do. I can see why some would think it seemed like a bit of a faff and be happier just sticking to other types of carriers though. With that in mind here is a video of me showing you how I use a mei tai. Hope you like it, and spare a thought for my poor phone. I broke the screen making this tutorial. Whoops! Like a pro I still finished and put it on YouTube though.